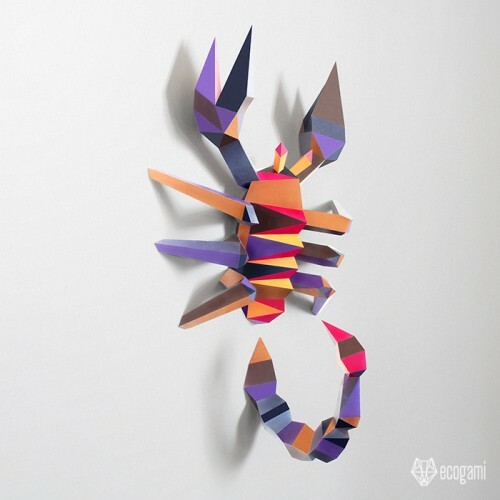 Make your own papercraft scorpion with our printable PDF pattern! It’s easy! Just follow the instructions & you will be proud of your low poly insect. Isn’t it a nice & unique wall mount decor for your sweet home or even a gift for an arachnid lover? This model has been created in two parts: the tail and the body with the legs. It seems to come out of the wall, to get out of the sand. ► Difficulty Level: Medium - Few small parts to assemble the legs but nothing very difficult.